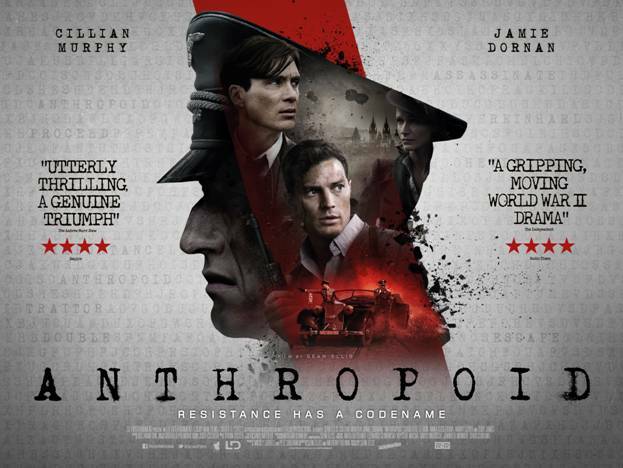 ANTHROPOID is based on the extraordinary true story of the World War II operation to assassinate Nazi commanding officer Reinhard Heydrich. One of the most terrifying and thrilling stories of World War II, ANTHROPOID follows two soldiers from the Czech army-in-exile, Josef Gabčík (Cillian Murphy) and Jan Kubiš (Jamie Dornan), who are parachuted into their occupied homeland in December 1941. With limited intelligence and little equipment in a city locked down under Nazi occupation, they must find a way to assassinate Heydrich, the man many saw as Adolf Hitler’s natural successor.